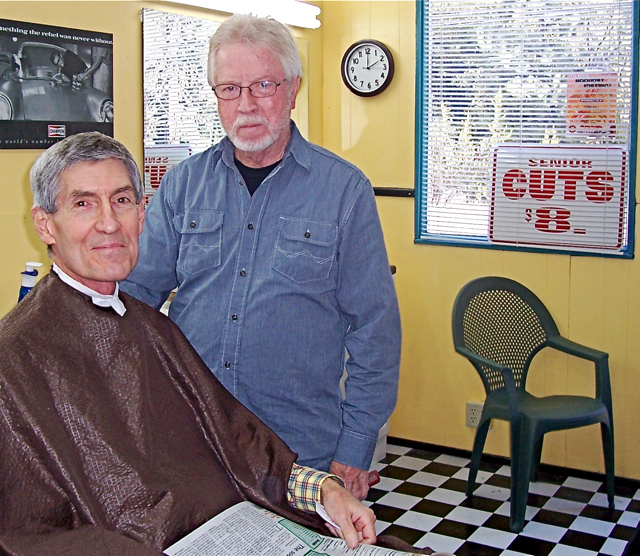 The Idyllwild Barber Shop has been open for a few months now and Don Strunk, the barber, has a few good things going for him. First of all, he’s got a great location, just off Hwy. 243 as you enter Idyllwild. He’s a friendly guy, who is willing to give directions to almost anyone who stops by. Since he’s a newcomer too, he’s stocked up on Idyllwild maps, business cards and sales pamphlets. 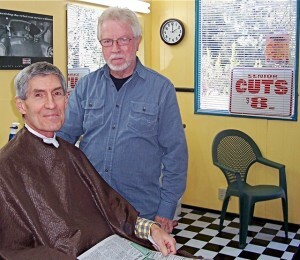 Most of Don’s haircuts cost $8, and only $15 for “hippy” or long hair. These prices are similar to what barbers are charging in Hemet, where Don used to work. He lives in Anza now, but said that town already had enough stylists. 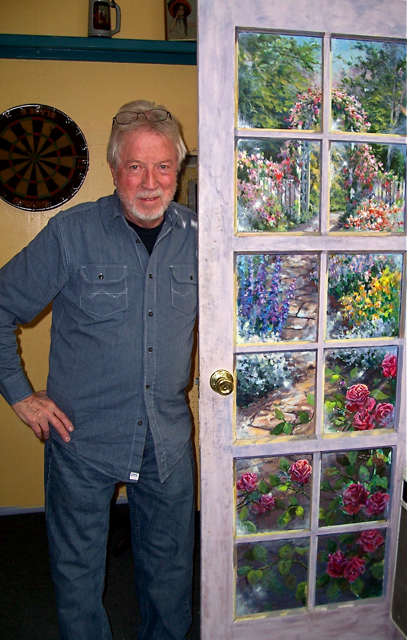 “So I opened up a shop in Idyllwild, where everyone is friendly,” Don said. Even at those low prices, Don said that can break even, and will eventually make a profit. He averages about two new customers a week. Later on, he might offer a chair to a stylist with experience in coloring and perms. “I just do haircuts,” said Don, who lists only his first name on his business cards. He is a man of few words, preferring to let others in his chair do the talking. 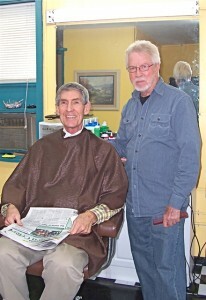 Bill said that it’s worth the drive up from Palm Desert every three weeks for a haircut. Because of his location, Don also gets students from Idyllwild Arts on weekends. Michel, who comes from Mexico, said that his prices were right, and he did a nice job. 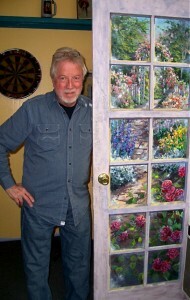 Don said that he was fortunate to rent the place, which housed Idyllwild Appliance for years. He had been looking around town, and almost settled on a place on Cedar and North Circle Drive. Then, he drove by Idyllwild Appliance and saw the guys moving out. He asked if the place was for rent, and called the owner immediately. “When I told him about my plans to open up a barber shop, Jim said, ‘That’s the best darn idea that I’ve heard in a long time,'” Don said. Don did some remodeling of the place, including painting the walls, changing the carpeting, and adding a checkerboard tile floor. He also has a TV with game boards in his waiting area. Outside his front door, Don has put a few sandwich boards and for the holidays, he added some Christmas lights.